Spring is a great time to get married - new life and new beginnings. Everything wakes up and starts to bloom. Having a wedding in spring is great as there are plenty of flowers that you can choose from for your wedding reception. Who wouldn't want a wedding filled with colorful flowers? Here are some great ideas for your spring wedding decorations. Spring weddings are great outdoors, against the splendor of nature. Do remember to have an alternate site or some sort of shelter at your wedding site in case you get spring showers, which are pretty unpredictable. Gazebos and garden wedding are very popular choices as are array of dazzling flowers on site. 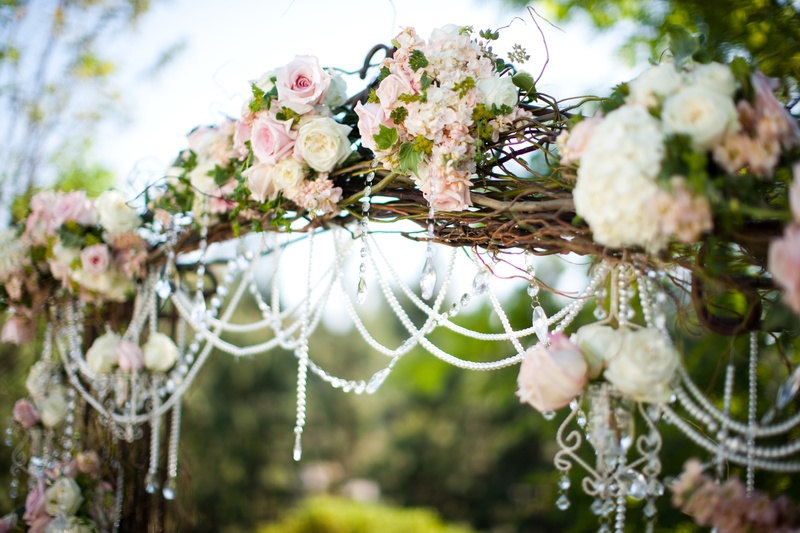 If a gazebo is not your style, how about having a trellis or a flowered arch? 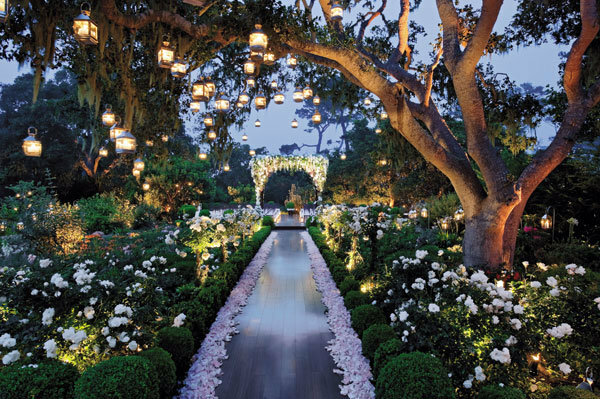 This is indeed a romantic setting for a wedding. When it comes to colors, you can opt for pastel colors and simple floral arrangements and that would be perfect. Or you can take in the spirit of spring and use bright fabrics with dazzling and abundant bright colored flowers. Choose from tulips, ranunculus, anemones, snapdragons, peonies and garden roses. The vivid and vibrant display of colors will make your spring wedding a wedding to remember. 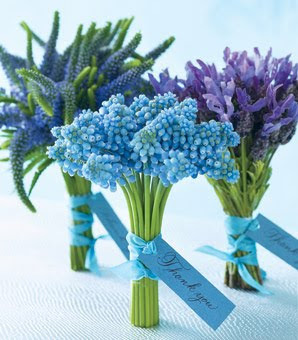 When it comes to wedding favors, you could still use flowers and continue with the spring theme. How about a single blossom tucked into the napkin at each place setting? This could be more memorable if the flower is the same as the bride's bouquet. Or you could give seeds which your guests could later plant at home. This is a great reminder of your wedding. Other favors you could give include candied flowers, nuts in spring colors, or even sweet treats like pastel colored candy or marshmallows in clear cellophane bags. These favors will certainly be a delight for your guests, young and old. Motifs can help bring your theme across. 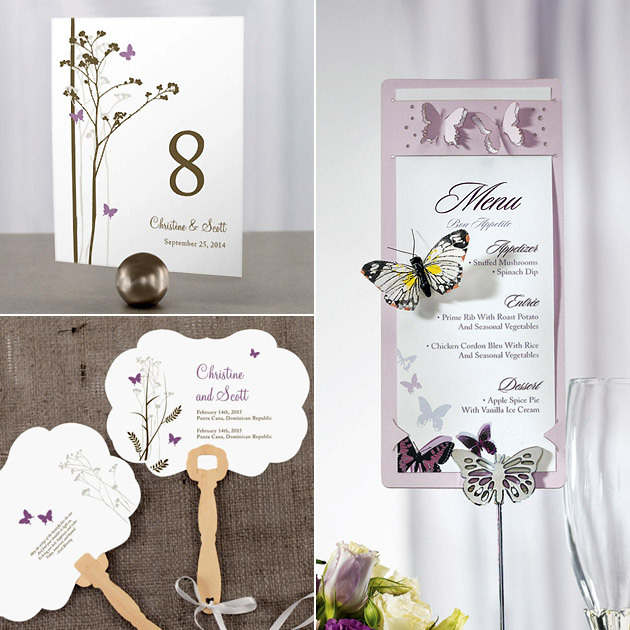 When choosing a motif for your wedding, pick just one or two so that it doesn't get cluttered or noisy. That way your wedding decorations with one or two motifs will look elegant and classy, and brings the theme of spring to your guests. Pick place card holders that also incorporate the spring theme. These usually make use of dragonflies, butterflies and birds. Butterflies are favorites are they represent change and transformation into something beautiful, perfect for your wedding decorations and as a motif. For your spring wedding table decorations centerpieces, you can make use of flowers and floating candles. These two elements can be easily put together, yet can create a truly dazzling and magical effect. Place silk flowers and floating candles in shallow glass bowls filled with colored water. The candles can come in the form of flowers or butterflies, which will tie in with the rest of the spring theme. Or you could use votives and add them to little flower pots and place them on the tables. These can create a magnificent light effect which will enhance your flowers. You can complete the whole look by scattering real or even silk flower petals onto the tables. Weddings are truly magical events. Use the season and rejoice in your new and happy beginning with the abundance of spring. Decorate your wedding with the wonderful spring motifs and you will surely have a wedding to remember.